Ten years ago on the ol' blog here I was talking about drop bars for mountain bikes, having just set up my Karate Monkey again with some Midge Bars. The 2008 season was about the last time I rode the old Karate Monkey on anything resembling a "regular basis" due to the fact that I had a bunch of stuff coming through to test for the old 29"er site I was involved in. Then there was Trans Iowa v5 which we were preparing for out of Williamsburg, Iowa. I have good and bad memories of that particular T.I. Saving some of this for my upcoming Trans Iowa stories series, all I'll say now is that we were actually thinking we'd have to do a pre-race meeting right before the event and that we'd hand out pre-race packets in the lobby of a motel the night before the event. It was just unconscionable to my mind that a town that had little to nothing going on in it would turn away hosting an event, and one with a track record to boot. But Williamsburg did about everything in their power to turn us away from their little town, and eventually, they did just that. Of course, the rest is history. You can say, "Well, you pulled out the rug from under Grinnell now too." I can see where some folks might think that. 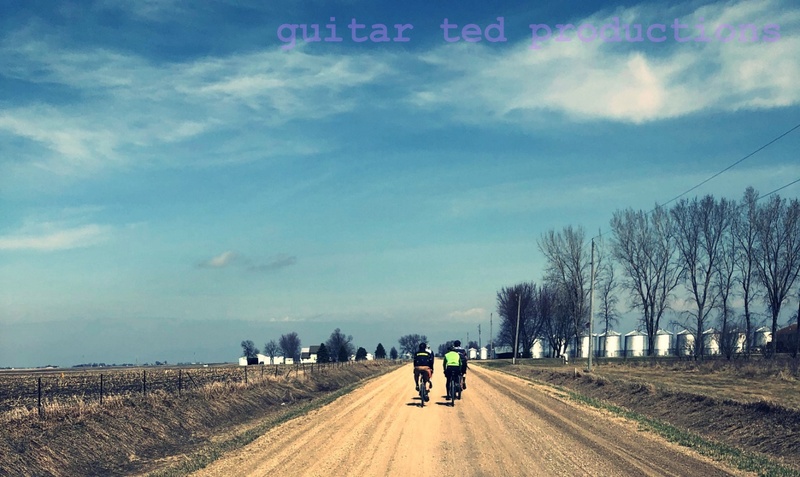 However; it was because of Trans Iowa that another event, The Prairie Burn 100, is being kick started in Grinnell this coming year. And don't forget, I'm helping to put on the C.O.G 100 in Grinnell too. So, you could actually say that it may have been Williamsburg that could have had all this influx of outside money via tourism/gravel events. But that little town passed on us back in '08, and the cards fell differently because of it. Finally, there was a big shindig happening in the Minneapolis area the following week which will get detailed in next week's edition of the "Minus Ten Review". For now, I will hint that this was ten years since a historic presidential election and it also marked a big day for me, historically speaking, in terms of cycling, this blog, and adventures. Trust me......this was a milestone week ten years ago. For a lot of reasons. The Prairie Burn sounds like a great event. And it’s great to see towns like Grinnell getting the bike bug.